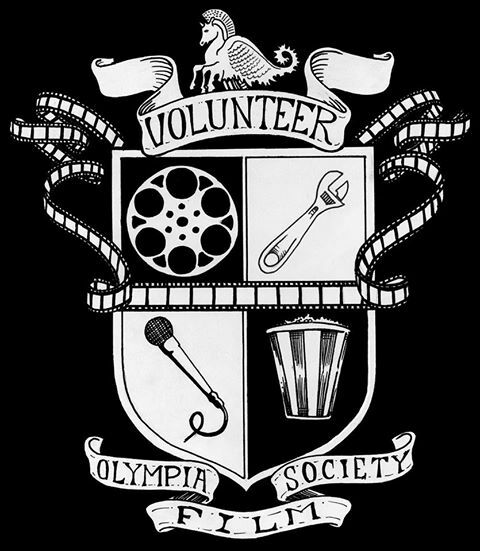 The Olympia Film Society’s Volunteer Community is the vital, beating heart of the organization. OFS Volunteers work to ensure the health and longevity of Olympia’s historic Capitol Theater by staffing the lobby, projecting the films, promoting the events, cleaning the facility and preserving it for future generations of film lovers in Olympia. The very existence of the Olympia Film Society and the Capitol Theater would not be possible without the efforts and support of our incredible volunteers. Now is the time for you to get involved! The first step is to sign up on our Volunteer Management System – simply follow the instructions onscreen and create your profile, which will enable you to grab the shifts that work with your schedule directly from the schedule we work with here at the theater. Please never hesitate to contact the OFS Volunteer Director for assistance. NEW VOLUNTEER ORIENTATIONS EVERY OTHER SUNDAY (check VMS for dates)! TICKET TEARER NEEDS NO TRAINING OR ORIENTATION! Sign Up over the phone by calling 360-754-6670 ext. 21 – leave a message and the Volunteer Director will follow up with you as soon as possible. Aside from Front of House work, we also offer volunteer opportunities in Cleaning and Maintenance, Street Team and Promotions, and Film Projection. Please contact the OFS Volunteer Director or our Maintenance Manager for more information! Want to project digital and/or analog film? Become an OFS Volunteer Projectionist! Email our Cinema Technician for more information and upcoming training sessions! Sign up today on the VMS!